When you use KIWI’s green carpet cleaning services, you protect your family and the environment from harmful chemicals. Our new green carpet cleaning solution, called CB2, is free from the allergens, pollutants and chemicals that can irritate your skin and cause health issues. It’s even GRAS certified (Generally Recognized as Safe) by the Food and Drug Administration. This is especially important for those with kids and pets who are constantly in close contact with your carpet. Additionally, our new carpet cleaner is better for the environment and leaves behind a fresh, citrus scent. We know you care about your family’s health, but you also want an effective cleaner that leaves your carpets looking bright and clean. Fortunately, CB2 gets the job done every time. It eliminates tough stains, brightens up high-traffic areas and gets rid of unpleasant odors. It’s everything you want in a carpet cleaning solution and more. Make sure you use KIWI carpet cleaning services to get fresh carpets without the harmful chemicals. Our new carpet cleaner is made from natural ingredients and is free of harmful chemicals found in other cleaners. Carpet cleaning companies around the world are still using cleaners that contain harsh and potentially toxic ingredients that can harm you and your family over time. CB2 doesn’t contain any nonylphenol (NPE) or other carcinogens that are classified by the National Toxicology Program (NTP), the International Agency for Research on Cancer (IARC) or the United States Occupational Safety and Health Administration (OSHA). Here at KIWI, we want your home sparkling clean, but we’re just as dedicated to your safety and health. Not only is KIWI’s new green carpet cleaner safer for your family, it’s also better for the environment! 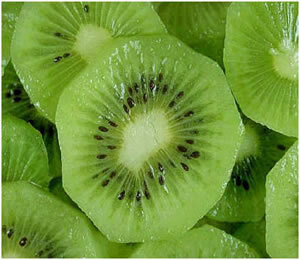 Because the ingredients are derived from nature, KIWI’s new cleaner is completely biodegradable and water soluble. This environmentally friendly cleaner doesn’t contain any of the ozone depleting chemicals (OCDs) or hazardous air pollutants (HAPs) found in other products, making sure that your family and the earth stay clean and safe. KIWI takes green cleaning one step further with our dry carpet cleaning method. Our cleaning method is gentle on the carpet fibers and produces no wastewater. Our 100% cotton bonnets absorb any liquids we may use to clean your carpets, which means that our technicians will not be dumping buckets of dirty water and chemicals into your septic system inside, or your community’s storm drain system outside. While it may not be illegal to discharge carpet cleaning wastewater in the sanitary sewer system, you are supposed to contact local health department or EPA before doing so, as regulations vary from city to city. No permits to obtain or departments have to be notified. KIWI is leading the way to increase awareness of the potential health impacts of some carpet cleaning products used by most steam cleaners. KIWI is part of the new class of green and eco-friendly carpet cleaning companies.